Between 1835 and 1870, Sarah L. Weld of Cambridge, Massachusetts collected twenty-three recipes for gingerbread. 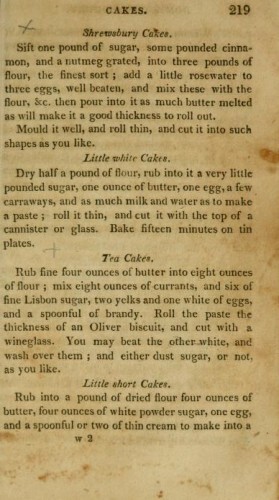 This repetition of recipes, particularly recipes for baked goods, was not uncommon in nineteenth-century recipe collections. In fact, it was the norm. In my last post, I offered three explanations for the prevalence of cake recipes in the manuscript cookbooks I study: evolving technology, new ingredients, and shifting social expectations that are indicative of changes in women’s work and roles over the course of the nineteenth century. The repetition of recipes for popular types of cake, like gingerbread, illuminates my third point: that changes in the availability and quality of ingredients influenced women’s recipe collecting. Sarah Weld’s collection of gingerbread recipes reveals how the availability of flour, sugar, and chemical leaveners transformed baking during her lifetime. Wheat flour, the basic ingredient for most baked items, was seldom used in early America. The prevalence of mildew rust on wheat crops lead early settlers to abandon growing wheat in favor of local and hardier grains and most daily baking relied on proprietary blends of rye flour, Indian (corn) meal, and small amounts of wheat flour. Most cooks saved costly wheat flour for fine cakes and pastry made for special occasions. In the mid-nineteenth century improved milling techniques, a growing transportation infrastructure, and the development of fertile agricultural land in the Canadian and American west along with the adoption of the hardier Turkey red wheat made wheat flour more available and accessible. Rather than growing their own wheat, consumers could purchase refined wheat flour by the barrel. Consequently, American wheat consumption soared. Sugar, like flour, was an expensive commodity that became more accessible during the nineteenth century. Prior to the mid-nineteenth century, recipes relied on less expensive byproducts of sugar production like molasses and brown sugar to sweeten baked goods. The invention of a vacuum system of evaporation and the centrifuge made the production of refined white sugar more efficient and, consequently, lowered the price. As refined white sugar became more accessible, it was praised by domestic advisors like Sarah J. Hale as sweeter and of a finer texture than brown sugar and, therefore, best used in baking. By 1871, loaf sugar was replaced by granulated sugar preserving women from the labor of grinding their own sugar. Chemical leaveners brought about the most visible transformation in American baked goods. These additives allowed women to make cakes more easily (less strenuous beating of ingredients) and more inexpensively by using smaller quantities of eggs and butter. Most significantly, chemical leaveners brought cakes to new heights and transformed their texture from dense, sweet breads to light and airy ones. The first of these, pearlash, stemmed from the Native American technique of combining potash, produced by leaching wood ashes, with the meal. This process, called nixtamalization, created an alkaline solution that released amino acids and niacin in the grain making the resulting product more nutritious. Further, since corn will not react with yeast, the potash provided a small amount of leavening. Innovative American cooks developed a concentrated form of potash called pearlash that when combined with an acidic substance like sour milk, citrus, or molasses would create a quick and reliable leavening agent. Beginning in the 1840s, pearlash would be slowly supplanted by chemical leaveners that improved the leavening properties of pearlash: saleratus, cream of tartar, and baking powder. Saleratus or baking soda sped up the chemical reaction that produced carbon dioxide in baked goods and yielded more consistent results. Cream of tartar helped activate the baking soda and neutralize the unpleasant alkaline aftertaste left by the soda. In the 1850s, the process of baking was further streamlined by the introduction of baking powder, which combined baking soda and cream of tartar into one product. “Lafayette Gingerbread” Seventy-five Receipts for Pastry, Cakes, and Sweetmeats (1828). Together, changing technology and ingredients revolutionized cooking during the nineteenth century. The yeast-raised cakes of the past never entirely vanished from American cookbooks (Election Cake remained a perennial favorite), but chemically leavened butter and sponge cakes largely supplanted their popularity. 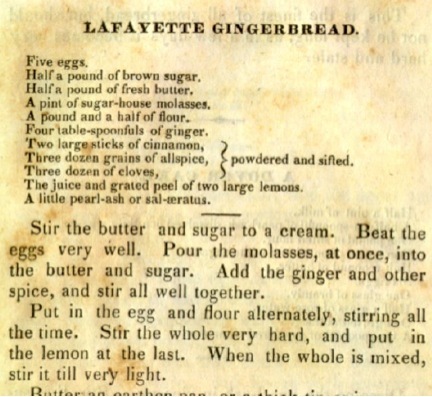 Recipes for gingerbread from Eliza Leslie’s classic Seventy-Five Receipts for Pastry, Cakes, and Sweetmeats (1828) and The Boston Cooking School Cookbook (1896) by Fannie Merritt Farmer reflect these changes in the process of baking. Technology that made baking easier along with improved ingredients transformed the appearance of baked goods, particularly cakes. As refined sugar and wheat flour became more affordable and chemical leaveners became more reliable, dessert became increasingly more elaborate. In the 1870s and 1880s, layer cakes dominated American baking filled first with jelly and later with caramel, chocolate, fruit, or nut fillings. During the second half of the nineteenth century, the variety of cakes increased exponentially with confections named White Mountain Cake, Devil’s Food, Angel Cake, Moonshine Cake, Chocolate Marshmallow Cake, Boston Cream Pie, and Mocha Cake. Thus, women not only collected cake recipes for the practical reason that technology and ingredients had changed, but also because they were so many new and exciting options for cake baking. Nancy Carlisle and Melinda Talbit Nasardinov with Jennifer Pustz, America’s Kitchens (Boston: Historic New England, 2008). Abigail Carroll, Three Squares: The Invention of the American Meal. New York: Basic Books, 2013. Alice L. McLean, Cooking in America, 1840-1945 Daily Life through History, Edited by Ken Alba. (Westport, CT: Greenwood Press, 2006. Sandra L. Oliver, Food in Colonial and Federal America (Westport, CT: Greenwood Press, 2005). Susan Williams, Food in the United States, 1820s-1890 (Westport, CT: Greenwood Press, 2006). 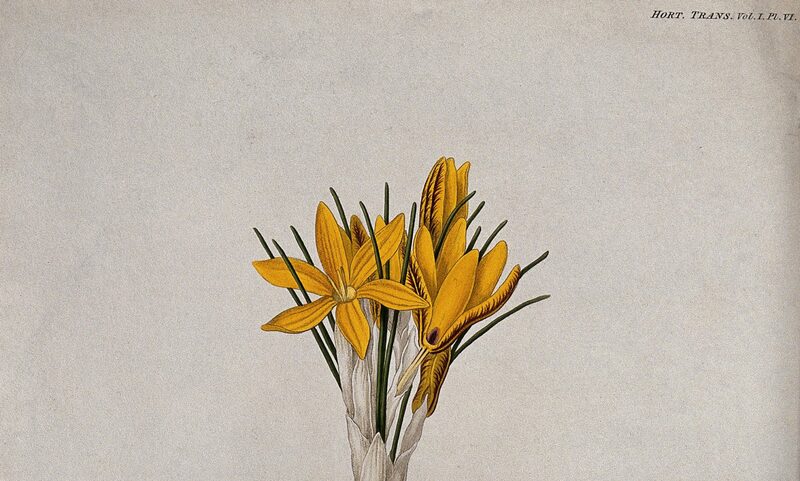 Sarah L. Weld, Cookbook, 1835-1870. Schlesinger Library. 010117969. When I first started exploring nineteenth-century manuscript cookbooks, I was astonished by the prevalence of recipes for cake in these sources. I expected cookery in the past to be more practical, concerned primarily with preserving, providing calories, and making do with what was available. 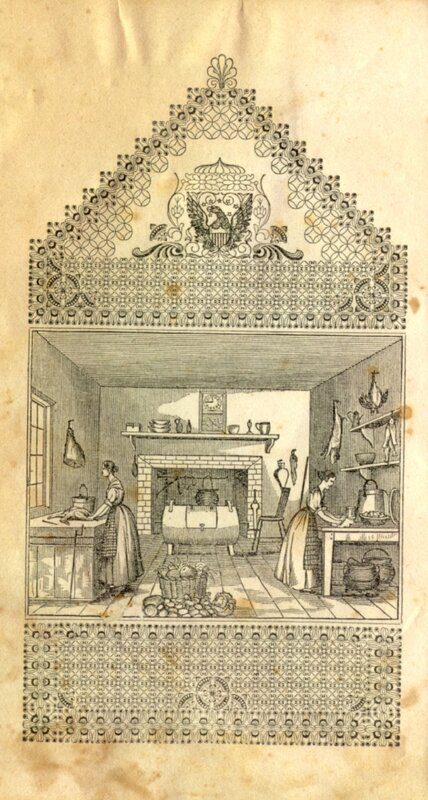 Printed cookbooks, such as those authored by Lydia Maria Child, Sarah J. Hale, Catharine E. Beecher, and others, that emphasized frugality, efficiency, and thrift supported my assumptions. Early in my research process, I struggled to reconcile what I perceived as the inconsistency between thrift and efficiency obsessed printed cookbooks with manuscript collections nearly entirely devoted to cakes, puddings, cookies, and other baked goods. Now, hundreds of cookbooks later, I’m prepared to offer three explanations for the prevalence of cake recipes in the manuscript cookbooks I study: evolving technology, new ingredients, and shifting social expectations that are indicative of changes in women’s work and roles over the course of the nineteenth century. In this post, I’d like touch upon the technological innovations that influenced women’s recipe collecting. 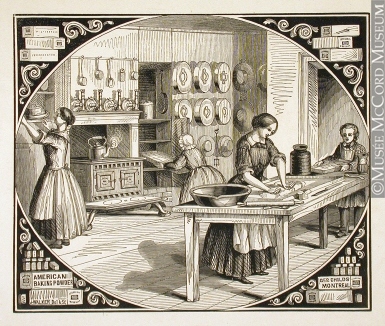 Frontispiece showing two women working in a kitchen. Mrs. E.A. Howland, The American Economical Housekeeper and Family Receipt Book (Cincinnati: H.W. Derby & Co., 1845). Library of Congress. Kitchens changed dramatically over the course of the nineteenth century, as figures 1 and 2 demonstrate. Until the 1850s, most women cooked over an open hearth as generations of cooks before them. Ruth Schwartz Cowan described the cookstove as “the single most important domestic symbol of the nineteenth century” and there is no denying the adoption of the cookstove transformed how women prepared dinner and what was served. Cookstoves expanded the repertoire of the cook to allow baking, boiling, roasting, and other cooking techniques to occur simultaneously. No longer did the amount of wood and time necessary to adequately heat a brick oven limit baking to once or twice a week. Women could, if they desired, bake something for dessert every day. Further, the dry, relatively constant heat produced by the cookstove reacted well with chemical leaveners allowing for the creation of layered cakes and other elaborate desserts. 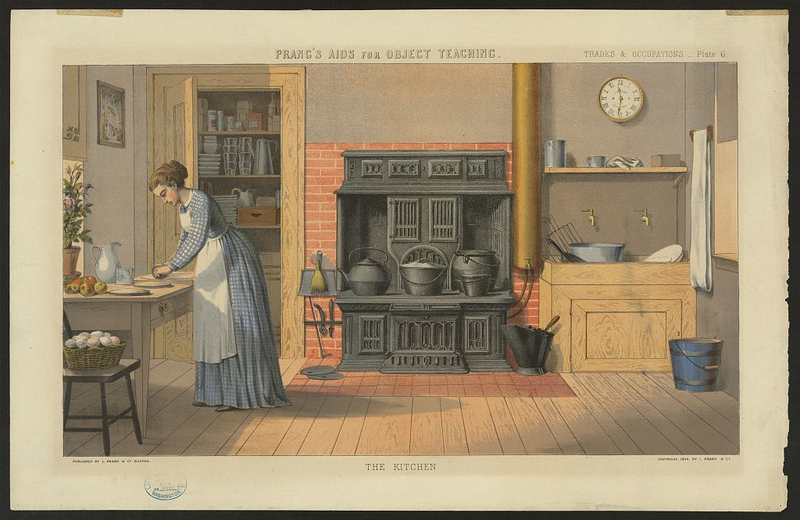 “Prang’s aids for object teaching–The kitchen” (Boston : L. Prang & Co., c1874). Lithograph. Library of Congress. Long before Fannie Farmer advocated level cup measures, cookbook authors recommended the standardization of measures within individual kitchens. Using the same coffee cup for measuring ingredients, even it wasn’t exactly the same volume as the cup used by one’s neighbor, improved results and was more economical. 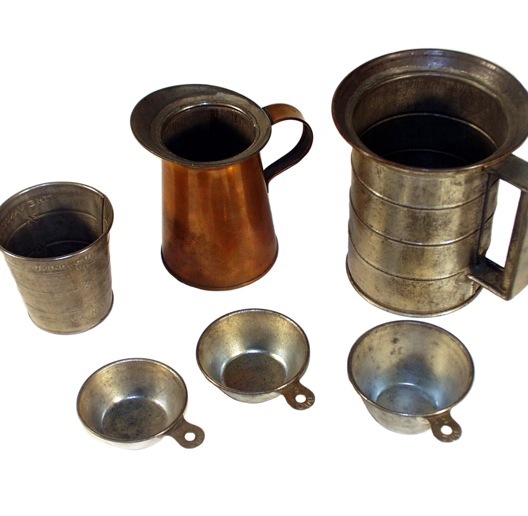 By the mid-nineteenth century, women could purchase vessels specifically manufactured for measuring ingredients, like the objects pictured in figure 3. Over time, the recipes in manuscript and printed cookbook adapted to new methods of measuring as pounds of flour were replaced by cups and a piece of butter the size of a walnut by a tablespoon. Metal Measures, Late 19th Century. Michigan State University Library. Prior to the availability and widespread use of commercial chemical leaveners, properly beaten eggs were essential to the creation of light, airy cakes. 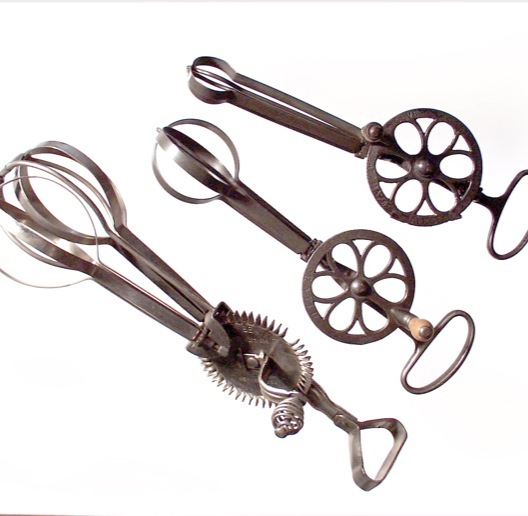 The ability of the mechanized eggbeater to produce five rotations of the wire blades with one rotation of the handle significantly eased the labor associated with preparing cakes. This innovation coupled with chemical leaveners and the improved quality of raw ingredients, would literally take cakes to new heights. Eggbeaters, Late 19th Century. Michigan State University Library. Thus, evolving technology altered the rhythm of women’s baking habits and eased the labor associated with the production of baked goods. Recipes from the 1850s onward reveal the influence of new technology and changing ingredients as cookbook authors reconfigured old-fashioned recipes to new-fashioned kitchens. This was part of the reason cooking schools became popular in the late nineteenth century and women shared recipes amongst their social circle or submitted recipe requests to the “Home Department” of their local newspaper: the fundamentals of cooking and baking has changed significantly and very quickly. A woman’s early training, the recipes she learned from her mother, and the recipes she collected in a manuscript cookbook as a young bride were increasingly obsolete. As women experimented and perfected recipes in the new system, it was natural to share and collect. This blog post is excerpted from a talk given by the author at the Maine Historical Society August 12, 2014. Ruth Schwartz Cowan, A Social History of American Technology (New York: Oxford University Press, 1997), 194. Eliza Leslie, The Lady’s Receipt Book (Philadelphia: Carey and Hart, 1847), 193. Example of annotation from A new system of domestic cookery, formed upon principles of economy, and adapted to the use of private families. By a lady. Boston, W. Andrews, 1807. LOC. During the first half of the nineteenth-century, as domesticity was increasingly redefined as a skill demanding instruction and experience, the geographical mobility of the industrial age removed young women from the traditional source of that instruction, their mothers and other female relatives. To meet this need a cadre of women authors published a canon of cookbooks and domestic manuals to instruct middle-class American women on the art of housekeeping. Women created annotated household manuals and cookbooks for their personal use, reminders that allowed them to perform their daily and seasonal tasks more efficiently. However, marginalia also allow the researcher a window into a previously inaccessible space: the nineteenth-century, middle-class kitchen. Printed cookbooks and household manuals also record the development of domesticity during this period. The marginalia in these texts suggest how ordinary women both conformed to and negotiated with cultural expectations of their proper place in society. Much scholarship focuses on the extraordinary women who supported themselves (and often their families as well) with their pens and worked to define domesticity, but what about their readers? How did the relatively silent majority of educated, middle-class, white women who consumed domestic literature apply that ideology to their daily lives? Marginalia may hold the key to answering these questions. Ten copies of A New System of Domestic Cookery by Maria Eliza Ketelby Rundell published between 1807 and 1866 illustrate some of the ways that marginalia preserve the reader’s experience. Collected from the archives at the University of Guelph, the University of Waterloo, and the Library of Congress, this sample contains the most common types of annotation found in cookbooks, including handwritten recipes, newspaper clippings, inscriptions, and a variety of means for marking recipes for later attention. As figure 1 reveals, the annotators devoted most of their attention to cakes, pastries, puddings, and sweet dishes with more practical methods of food preparation largely ignored. The contrast is even more apparent when categorized by purpose. Of ninety-two total annotations, fifty-four modified to recipes related to entertaining (cakes, fruit preserves, wines, etc. 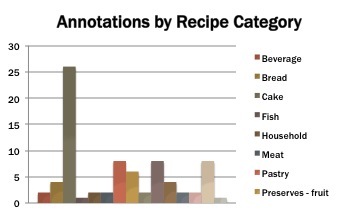 ), while just sixteen annotations related to everyday cookery and even fewer to keeping house and home remedies. Why such disparity? During a period when the expectations of housekeeping were expanding and authors specifically addressed the poor quality of everyday cooking in their manuals, why aren’t women paying more attention to the everyday? One explanation for the general lack of concern toward daily cooking tasks is, as Janet Theopano offered, that “everyday cookery was common knowledge, [it] required no detailed instructions.” Women knew how to bake bread, prepare a simple supper, nurse a sick child, and serve a hearty breakfast. These were the routine tasks that composed the daily life of the nineteenth-century housewife. Thus, marginalia in printed cookbooks and household manuals is indicative of the influence of educational opportunities on women during the early nineteenth-century. Women identified species of birds, noted the best seasons for salmon, adapted chemical leaveners to older recipes, and recorded the production of their gardens in the pages of their cookbooks. 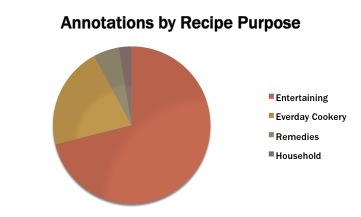 While many annotators mark books as part of a learning process, a habit developed in the classroom, cookbook annotators (although often clearly educated) practice annotation for a different reason. Their annotations mark them as experts rather than learners; they modify the text to suit their needs and experiences. Despite the stated purpose of the cookbook authors and the opinions of those who decried the influence of women’s education on domestic endeavors, most women did not depend on cookbooks as instructional manuals for the daily practice of domesticity, but turned to them for special occasions and entertaining. Women were empowered and confident in the domestic space–and their marginalia reflects that status. Janet Theopano, Eat My Words: Reading Women’s Lives through the Cookbooks They Wrote (116). The Una Abrahamson Canadian Cookery Collection at the University of Guelph, Guelph, Ontario, Canada. Special Collections at the University of Waterloo Dana Porter Library, Waterloo, Ontario, Canada.